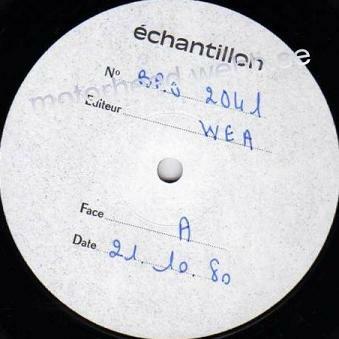 The test pressing has échantillon labels with the cat no, label, side and date written with blue ball pen. The record is housed in a regular WEA AOS sleeve. EUR 111 January 2007, Ebay.